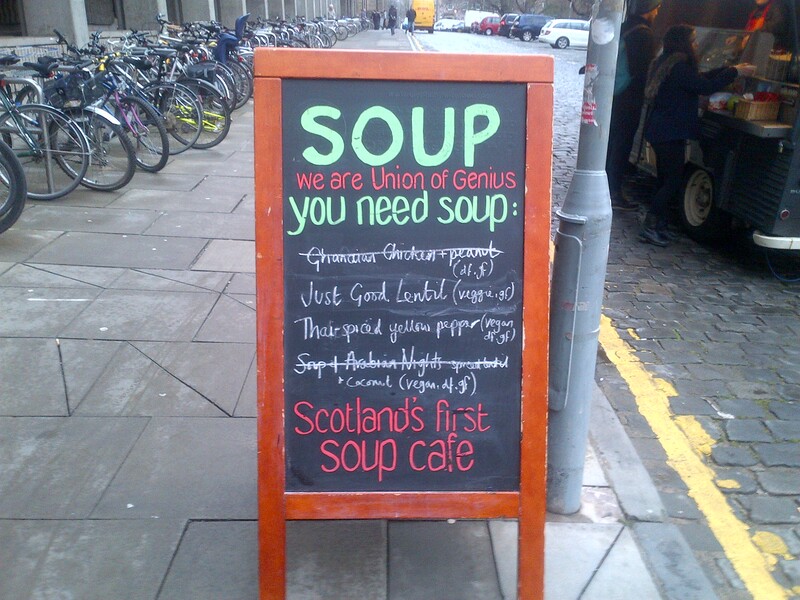 It had been rather remiss of me not to visit Union of Genius’ soup van, on George Square, before now, so I was pleased to rectify that, on a rainy Friday lunchtime. They acquired the van, affectionately known as Dumbo, last year, when previous owners, Elephant Juice, decided to focus their full attention on the One Feeds Two Foundation. 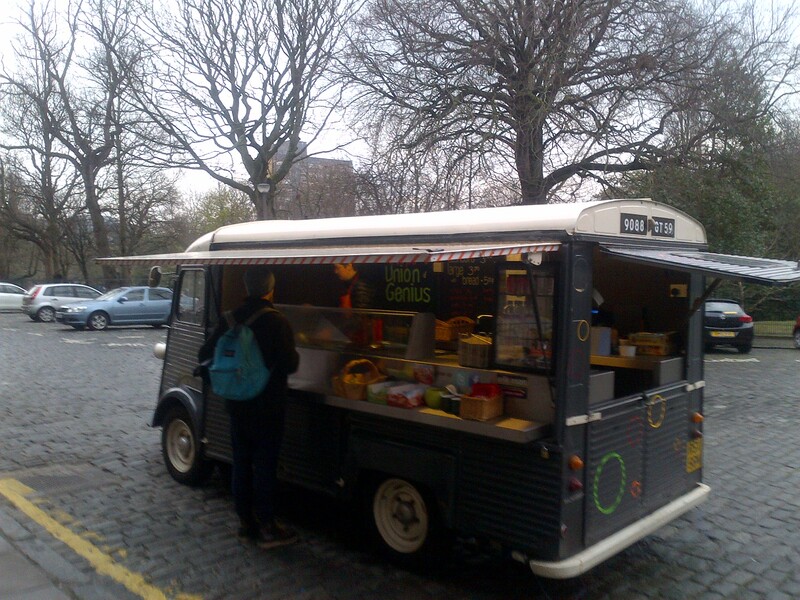 The van has room for four soup varieties, and a range of accompaniments, such as excellent bread from Manna House. I arrived towards the end of lunchtime, today, so the choice had been slightly curtailed by demand, but I was very happy to try their “just good lentil” (large £3.70 + 50p extra for bread), as it was one of theirs that I hadn’t previously sampled. It was lovely to see Ruth doing the ladling honours. She’s a great new addition to the team, and a real street food stalwart, whose work I’ve previously encountered at Land Foods and Bespoke BBQ. With merry banter duly exchanged, I was on my way, sipping warming soup as I walked. 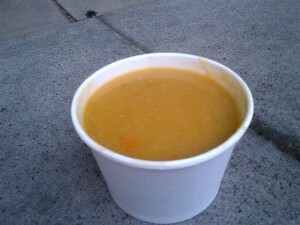 The soup was every bit as good as expected, with a comfortingly wholesome texture. The sea salt and black pepper bread was delicious, too. So overall, I was entirely delighted by my visit to the soup van. They’re clearly doing brisk business, so long may that continue. 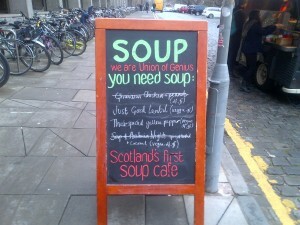 It’s a great Edinburgh soupy treasure that you must visit, very soon.